Counter-jihad or Counterjihad is a political current consisting of organizations, bloggers and activists all linked by a common belief that the West is being subjected to takeover by Muslims. While the roots of the movement go back to the 1980s, it did not gain significant momentum until after the September 11 attacks in 2001. It has been variously dubbed pro-Israel, anti-Islamic, or islamophobic, or far-right. Counter-jihad is a transatlantic "radical right" wing movement which, via "the sharing of ideas between Europeans and Americans and daily linking between blogs and websites on both sides of the Atlantic" "calls for a counterjihad against the supposed Islamisation of Europe". While the roots of the movement go back to the 1980s, it did not gain significant momentum until after the September 11 attacks in 2001.
the notion that Islam poses a threat to "Western civilisation" with a particular focus on "Muslims living in Europe", that is, within the European Counterjihad Movement (ECJM), "seen predominantly in terms of immigration" particularly Muslim immigration. In April 2007, the counter-jihad current became visible as a movement operating in northwestern Europe after a "counter-jihad summit", organised by a transatlantic network of anti-Islam bloggers, was held in Copenhagen, Denmark. A March 2012 Counter-jihad conference in Denmark drew 200-300 supporters from throughout Europe. Ten times the number of left-wing protesters staged a counter-demonstration. The 2012 conference in Denmark, was alleged by its organisers, the English Defence League to mark the starting point of a pan-European movement. Blogs such as Gates of Vienna, Jihad Watch, Atlas Shrugs, Politically Incorrect, The Brussels Journal are central to the transatlantic Counter-jihad movement (TCJM). Notable figures include: the editors of these blogs, respectively Edward 'Ned' May (pseudonym Baron Bodissey), Robert Spencer; Pamela Geller; Stefan Herre; Paul Beliën, and; Daniel Pipes. Notable writers in the Counter-jihad movement are Bat Ye'or, David Horowitz and Fjordman. 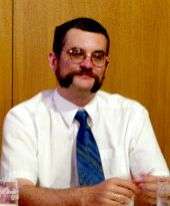 Key supporters of Counter-jihad in Europe are Gerard Batten, UKIP MEP, who gave a speech at the Counterjihad Brussels 2007 conference The umbrella organization, Stop Islamisation of Europe, was founded by Anders Gravers Pedersen, who also sits on the board of the Stop Islamisation of Nations. There are numerous affiliated "Stop the islamisation of..." and "Defense Leagues" in several European countries, among them Stop Islamisation of Denmark, Stop Islamisation of Norway, and the English Defence League. Arun Kundnani, in a report published by the International Centre for Counter-terrorism, writes that the counter-jihad movement has evolved from earlier European far-right movements through a shift from race to values as identity markers: "In moving from neo‐Nazism to counter‐jihadism, the underlying structure of the narrative remains the same." Continuing on this note, he writes that comparing the counter-jihadist worldview to the older, neo-nazi one, "Muslims have taken the place of blacks and multiculturalists are the new Jews." The Cold War parallel is taken further by social commentator Bruce Bawer. He not only compares counter-jihad with anti-communism but compares those who criticize the counter-jihad movement with anti-anti-communists. The latter damned anti-Communists as “fanatical, paranoid conspiracy theorists” while “remaining all but silent about the evils of Communism itself.” Today it is fashionable to hold that “the good guys are the counter-counterjihadists – the journalists, activists, and others who make a career of slamming” counter-jihadists. Author, Roger Kimball, agrees. 1 2 3 4 Lee, Benjamin (4 September 2015). "A Day in the "Swamp": Understanding Discourse in the Online Counter-Jihad Nebula". Democracy and Security. 11 (3): 248–274. doi:10.1080/17419166.2015.1067612. 1 2 3 4 "Diffus rörelse med muslimer som hatobjekt". Svenska Dagbladet (in Swedish). 3 August 2011. Retrieved 6 August 2011. ↑ "Pentagon suspends "counterjihad" class on Islam". CBS News. 11 May 2012. Retrieved 3 July 2012. ↑ Anna-Lena Lodenius. "Risk att Breivik ses som profet". Svenska Dagbladet (in Swedish). ↑ Mattias Wåg (28 Jul 2011). "Den nya högerextremismens terroristiska uttryck". Göteborgs fria (in Swedish). 1 2 Denes, Nick (2012). "Welcome to the Counterjihad: "Uncivil" Networks and European Social Space" (PDF). Dahrendorf Symposia Series. Berlin: Dahrendorf Symposia. 2012-12. doi:10.1080/17448689.2012.738894. Retrieved 2012-08-26. 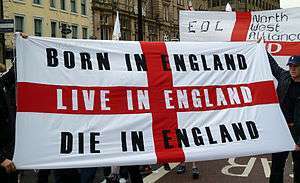 1 2 Alexander Meleagrou-Hitchens, Hans Brun, A Neo-Nationalist Network: The English Defence League and Europe’s Counter-Jihad Movement, International Centre for the Study of Radicalisation and Political Violence, March 2013. 1 2 3 4 5 Toby Archer (2013). Taylor, Max; Currie, P.M.; Holbrook, Donald, eds. Extreme right wing political violence and terrorism (1. publ. ed.). London: Bloomsbury. pp. 173–4. ISBN 9781441140876. 1 2 3 4 Rasmus Fleischer (2014). Deland, Mats; Minkenberg, Michael; Mays, Christin, eds. In the Tracks of Breivik: Far Right Networks in Northern and Eastern Europe. Münster: LIT Verlag. p. 62. ISBN 978-3-643-90542-0. Retrieved 21 May 2016. 1 2 3 Hegghammer, Thomas (30 July 2011). "The Rise of the Macro-Nationalists". The New York Times. Retrieved 31 July 2011. ↑ Beirich, Heidi (2013). "Hate Across the Waters: The Role of American Extremists in Fostering an International White Consciousness". In Wodak, Ruth; KhosraviNik, Majid; Mral, Brigitte. Right-Wing Populism in Europe: Politics and Discourse. London: Bloomsbury Publishing. pp. 91–92. ISBN 1-78093-343-6. 1 2 3 Luban, Daniel; Eli Clifton (28 February 2009). "Dutch Foe of Islam Ignores US Allies' Far Right Ties". InterPress Service. Retrieved 28 August 2011. ↑ Archer, Toby (25 July 2011). "Breivik's swamp". Retrieved 28 August 2011. ↑ "CounterJihad Brussels 2007 Conference Press Release". Counterjihad Europa. Internet Archive: Wordpress. Archived from the original on 31 October 2007. Retrieved 22 May 2016. ↑ "80 Arrested After Anti-Islam Protest In Denmark". Associated Press. March 31, 2012. Retrieved April 25, 2012. ↑ "Islam debate takes centre stage in Aarhus". The Copenhagen Post. April 4, 2012. Retrieved April 27, 2012. 1 2 Shane, Scott (24 July 2011). "Killings in Norway Spotlight Anti-Muslim Thought in U.S.". The New York Times. Retrieved 30 July 2011. 1 2 Arun Kundnani (June 2012). "Blind Spot? Security Narratives and Far-Right Violence in Europe" (PDF). International Centre for Counter-terrorism. Retrieved July 23, 2012. 1 2 Fekete, Liz (2012). "The Muslim conspiracy theory and the Oslo massacre". Race & Class. 53 (3): 30–47. doi:10.1177/0306396811425984. 1 2 Townsend, Mark (14 April 2012). "Far-right anti-Muslim network on rise globally as Breivik trial opens:Report highlights UK role in the growth of groups that inspired Norway's mass murderer". The Guardian. Retrieved 27 April 2012. ↑ "Stop Islamization of Nations (SION) Calls on UN to Protect Christians of Syria". Reuters (Press release). January 20, 2012. Retrieved April 27, 2012. ↑ Anders Hvass. "Lars Hedegaard ude af DF" [Lars Hedegaard leaves Danish People's Party] (in Danish). Berlingske tidene. Retrieved July 23, 2012. ↑ Nick Lowles (June 2012). "International Counter-jihadist Organisations - The International Free Press Society (IFPS) Network". Internet Archive: Hope Not Hate. Archived from the original on 3 March 2013. Retrieved 24 May 2016. 1 2 "Eurabiske vers" [Eurabian verses] (in Norwegian). Morgenbladet. August 19, 2011. Retrieved April 27, 2012. ↑ "Outraged, And Outrageous". The New York Times. October 10, 2010. Retrieved April 27, 2012. ↑ Pamela Geller (July 31, 2011). "American Freedom Defense Initiative Action Plan". Retrieved April 28, 2012. ↑ "Backgrounder: Stop Islamization of America (SIOA)". Anti-Defamation League. March 25, 2011. Retrieved April 29, 2012. ↑ Batten, Gerard. "UK Independence Party Member of the European Parliament for London" (PDF). Archived from the original (PDF) on 14 November 2012. Retrieved 22 May 2016. ↑ "Fringe group barred suspected Norway killer from forum". Reuters. July 23, 2011. Retrieved April 28, 2012. ↑ "Her er Breiviks meningsfeller" [These are the people who share Breivik's opinions] (in Norwegian). Dagbladet. August 25, 2011. Retrieved April 28, 2012. ↑ "Anders Gravers Pedersen væltet omkuld under demonstration" [Anders Gravers Pedersen scuffled during demonstration] (in Danish). TV2 Nord. May 21, 2010. Retrieved April 28, 2012. ↑ "SION to Hold International Congress and Media Workshop to Address Islamic Supremacist War Against Free Speech (Press Release)". PR Newswire. March 15, 2012. Retrieved April 28, 2012. ↑ Archer, Toby (15 August 2008). "Countering the counter-jihad". Retrieved 28 August 2011. ↑ Bodissey, Baron (20 November 2009). "The Counterjihad Manifesto". Gates of Vienna. Retrieved 28 August 2011. ↑ "Counter-jihad Report". Hope Not Hate. Internet Archive. 1 June 2012. Archived from the original on 5 July 2016. Retrieved 21 May 2016. ↑ Patalong, Frank (25 July 2011). "Blogging Hate - Anders Breivik's Roots in Right-Wing Populism". Der Spiegel. Retrieved 30 July 2011. ↑ Pipes, Daniel (July 27, 2011). "Norway's Terrorism in Context: The damage Behring Breivik did to the counterjihad may well have been purposeful". National Review Online. Retrieved April 24, 2012. ↑ Bawer, Bruce (April 20, 2012). "The Scandalous Lies of 'Hope Not Hate'". ↑ Daniel Vergara (10 January 2014). "Breivik vill deportera "illojala judar" [Breivik wants to deport "disloyal Jews"]". Expo (in Swedish). ↑ "Mass killer Breivik says wants to create fascist party". Reuters. Sep 5, 2014. ↑ Mjaaland, Marius Timman (28 September 2011). "Korstog mot hellig krig (Crusade against Holy War)". Aftenposten. Retrieved 28 September 2011. ↑ Geert Wilders (Oct 4, 2010). "Islam: the Communism of Today". ↑ "Notes on 'Counterjihad'". Front Page Magazine. July 29, 2013. ↑ Roger Kimball (July 30, 2013). "From 'Anti-Communist' to 'Counterjihadist'". PJ Media.